Students can connect concepts to their visual representation with and without technology. How do you introduce the definition of a derivative? We start with the visual of a tangent line at a point and a secant line containing the point. We don’t need calculus to determine the slope of the secant line. We do need calculus to determine the slope of the tangent line. How might we use the slope of the secant line to determine the slope of the tangent line? How do you introduce the concept of a derivative? 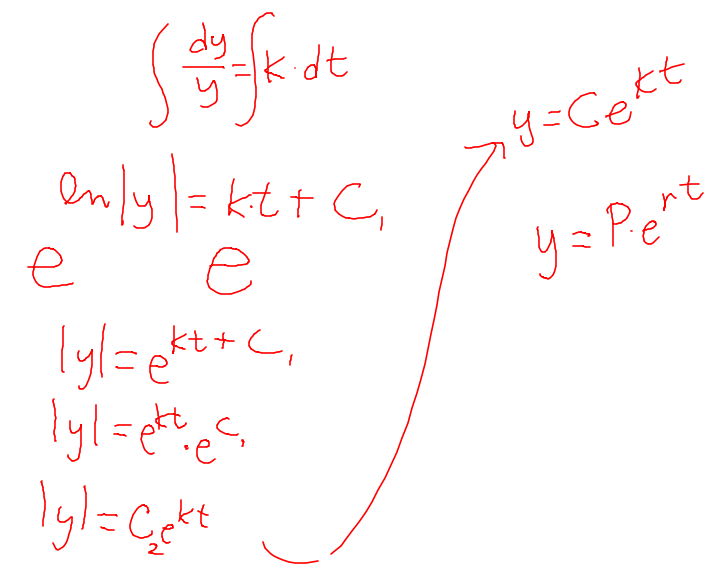 We start with visuals of the derivative (from a Getting Started with Calculus activity called Derivative Trace). Tangent Line Demonstration from Calculus Nspired has some similar ideas. 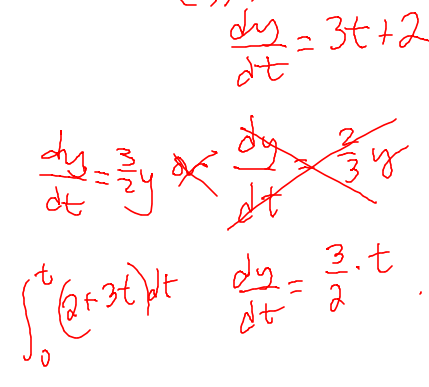 We then look at the Derivative Grapher to connect the slope of the tangent line to the graph of the derivative, changing the original function as requested by the students. We begin to develop some common language around derivatives before we formalize what is a derivative, before we formalize the definition of a derivative. Big Idea 1 from the 2016-2017 AP Calculus Curriculum Framework is Limits. Enduring Understanding 1.1: The concept of a limit can be used to understand the behavior of a function. Students can associate tables, graphs, and symbolic representations of functions. Students can develop concepts using graphical, symbolical, verbal, or numerical representations with and without technology. We begin calculus with a discussion of limits. I throw a dart at the dart board and ask what just happened. (I really did this year – on the second try – after missing the board completely on the first try.) But how did the dart make it to the board? It had to go half the distance to the board. And then half the distance again. And again. And again. How did the dart make it to the board? The other demonstration is at the recommendation of my grandfather, now 101, who taught high school mathematics for over 50 years. I take a measured piece of yarn (1 meter), cut it in half, and begin to make a pile of the “halves”. How long does the yarn measure in the pile if we put it end to end? It gets closer and closer to measuring 1 meter, but does it ever make it to 1 meter? How do you provide opportunities for students to “see” limits? I used to [ineffectively] wave my hands. Now we use technology. Students won’t use this type of visualization while they’re taking a test, but we find it invaluable while they’re learning. The rate of increase of bugs is proportional to the number of bugs in a certain area. 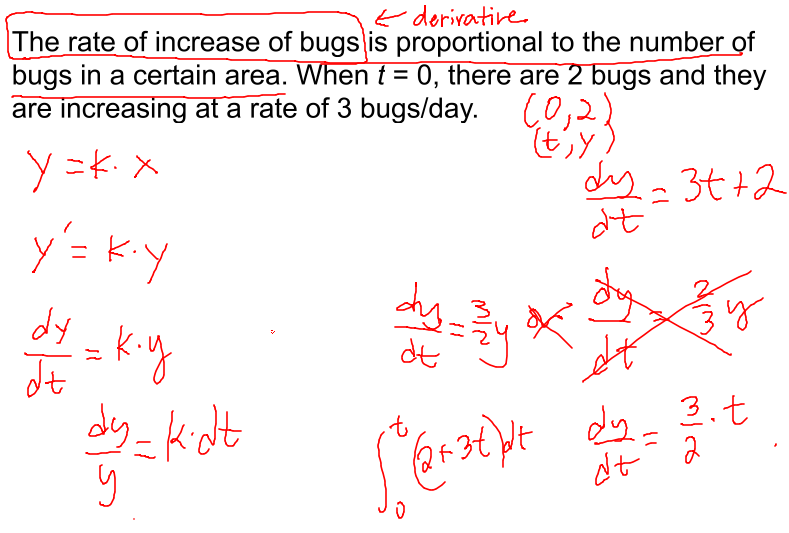 When t=0, there are 2 bugs and they are increasing at a rate of 3 bugs/day. I set the mode to individual and watched as students worked. Many recognized that the rate of change changes. Several used the initial condition to write a statement about the rate of change. Eventually, we went back to the given information to decipher what it was saying. And then we (anti)derived the model for exponential growth, which of course students recognized using in a previous math course. So what are the constants for this particular model? I sent a poll to collect their model honestly having no idea that the bell was going to ring in less than two minutes. A few students correctly answered before the end of class. I should have paid better attention to the time … I really had no idea it had taken us as long as it did. But students were engaged in “grappling with mathematical ideas and relationships” the entire time. That’s got to be better for their learning than them watching me tell them how to work the problem. What opportunities are you giving your students to struggle productively? Even if you don’t “cover” as much as you think you should?